Director Paul Greengrass has a built career producing action-packed thrill rides. If I could describe Greengrass’s filmmaking style in one word, it would be “intense.” The man makes incredibly intense (almost stressful) films. His movies, like The Bourne Supremacy (2004), The Bourne Ultimatum (2007), and United 93 (2006), are all well known for being exceptionally potent, emotionally engaging cinematic experiences. They emphasize handheld camerawork, fast cuts, limited (if not absent) soundtracks, and cinema verite aesthetics. The confrontations between the Alabama and Somali crews are the highlights of the film. Their interactions are both scary and funny, frequently at the same time. 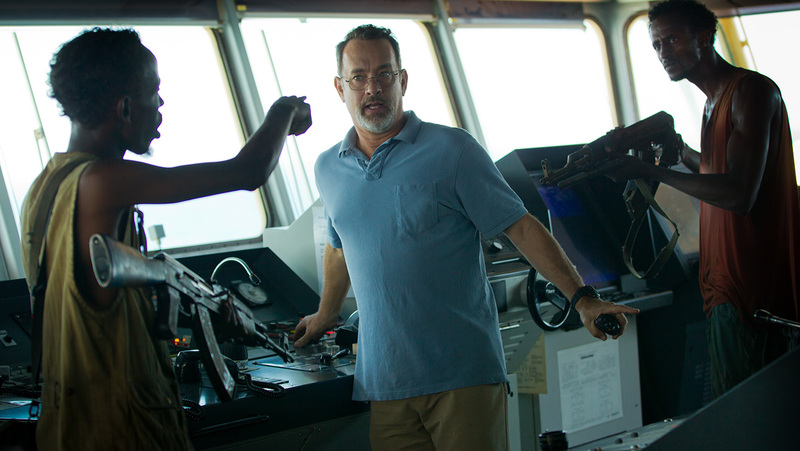 2013’s Captain Phillips is no different. While there are no fisticuffs or shootouts a la The Bourne series, the film features plenty of intensity in the vein of United 93, with both movies dramatizing terrorist hijackings with alarming effectiveness. 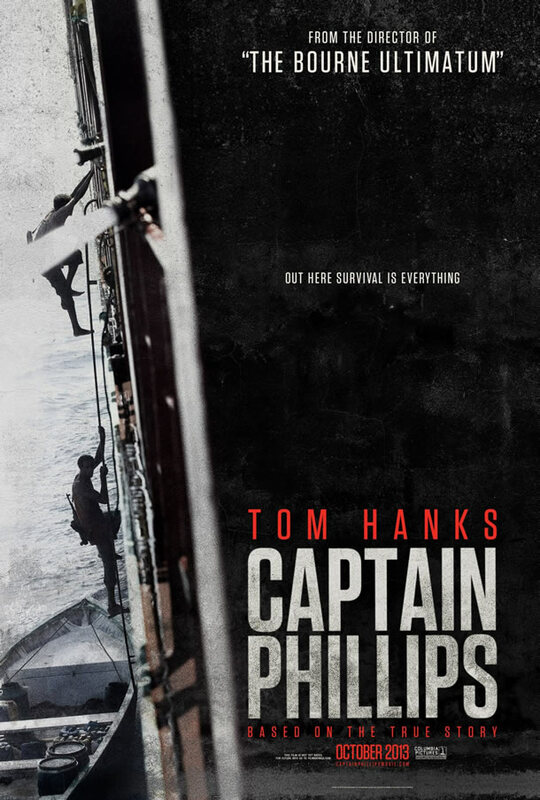 Captain Phillips (CP) follows the events of the Maersk Alabama-hijacking by Somali pirates in 2009, which culminated in the kidnapping of the ship’s captain, Richard Phillips, aboard a lifeboat and the subsequent showdown between the pirates and the US Navy. CP channels much of its cinematic energy from its good pacing and Greengrass’ effective, documentary-style camerawork. Fans of his previous films will recognize his handiwork and liberal use of extreme close-ups right away. Together, Greengrass melds this cinematographic approach with Billy Ray’s roller-coaster ride of a screenplay to squeeze the most tension out of every scene. In the most subtle and efficient ways, Greengrass and Ray build this tale as a human story, writing and filming Captain Phillips and Captain Muse as neither inherently heroic nor evil, but simply as human beings trying to survive. CP is similar to another critically and commercially successful film of 2013, Alfonso Cuaron’s Gravity, in that it achieves adequate, effective character analysis and thematic symbolism through minimal dialogue and introspection. It’s a film of few words, relying on its characters’ actions and Greengrass’ camera to convey emotion. By the time we reach the moment of reckoning between the pirate crew and the US Navy, the film becomes a nail-biting experience that’s filled to the brim with intense emotions and gutcheck moments. When a Navy SEAL commander yells “execute!”, you’ll be ready to feint in your seat. This is highly effective filmmaking. 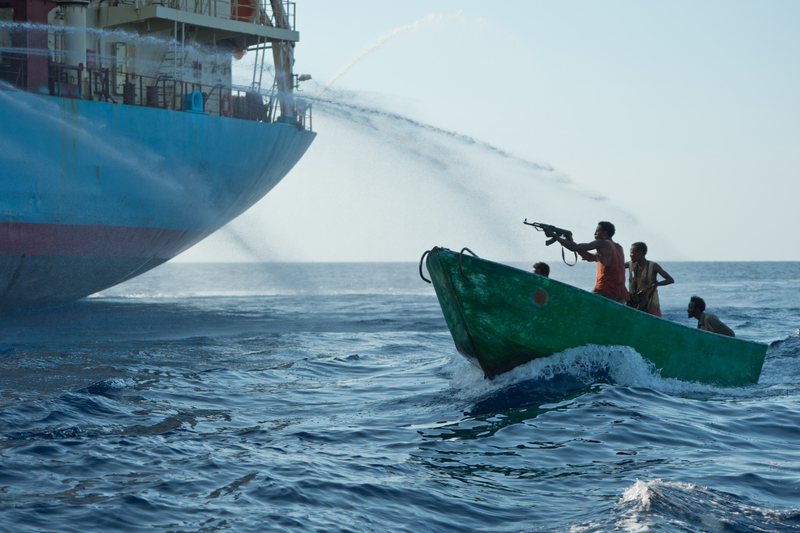 The boat hijacking is, like the rest of the movie, an intense back and forth battle between the two opposing Somali and American crews. While not for the feint of heart, Captain Phillips is suspenseful cinema that’s hard not to recommend. It’s thriller filmmaking in its most purebred form. Understandably, the screenplay’s minimalist structure limits the movie’s potential to some extent, but it’s hard to argue with the results when the film is this satisfying. Director Greengrass doesn’t change up his tried-and-true formula, instead opting for yet another mark in his filmography’s “win” column by doing what he does best. If you want an intense ride of a movie (as well as one that’s CGI-free), Greengrass is still the man for the job. SUMMARY & RECOMMENDATION: Greengrass’ documentary-style camerawork and expert pacing by writer Billy Ray make Captain Philips every bit as intense and satisfying as a special FX-extravaganza like Gravity. Hanks gives another solid performance as the titular character, but its the big-screen debut of Somali-born actor Barkhad Adbi that’s the real treat of this movie. Adbi steals every scene he’s in, and in multiple languages to boot. — However… some of the hostage threats in the film’s final act almost become too exhausting and repetitive.
? Does anyone else feel like this type of job is one of the few civilian occupations that actually requires firearms? I’m a pro-gun control kind of guy, but in this instance, arming oneself makes total sense. Good review. One of the most tense movies of the year as it never let me go for a single second, not even when all of the adrenaline went away and the story ended. Or, seemed to end, that is. Thanks man, I agree. Vintage Greengrass in every way.